This simple cauliflower fried rice recipe makes a delicious low carb main course or side dish! With fresh ginger and sesame oil, this lighter fried rice option is full of flavor. 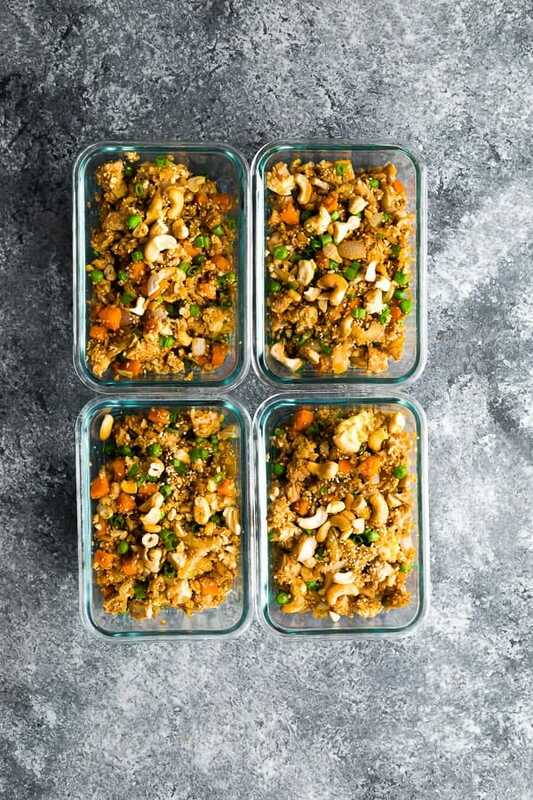 While the recipes I shared in that post were more of a side dish, today’s simple cauliflower fried rice recipe is more of a meal…in fact it works great as a meal prep option! 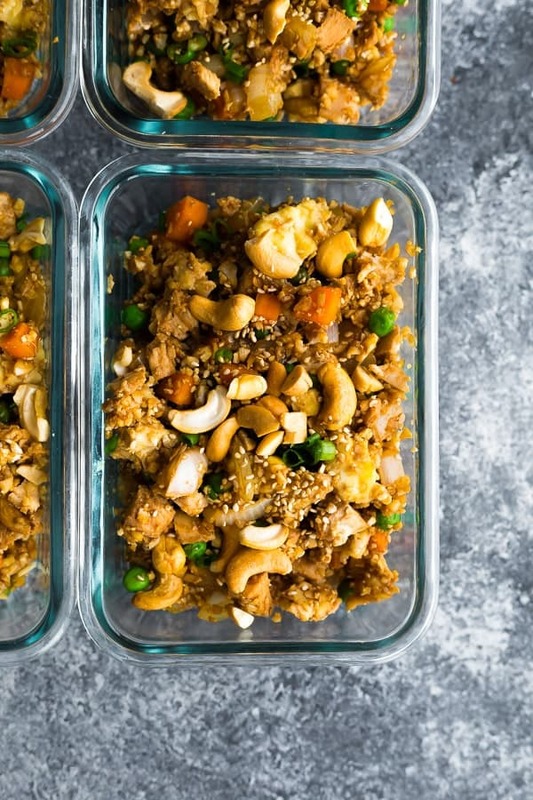 For this recipe, I adapted my Meal Prep Vegetarian Fried Rice Recipe, which gets flavor from sesame oil, ginger and soy sauce. 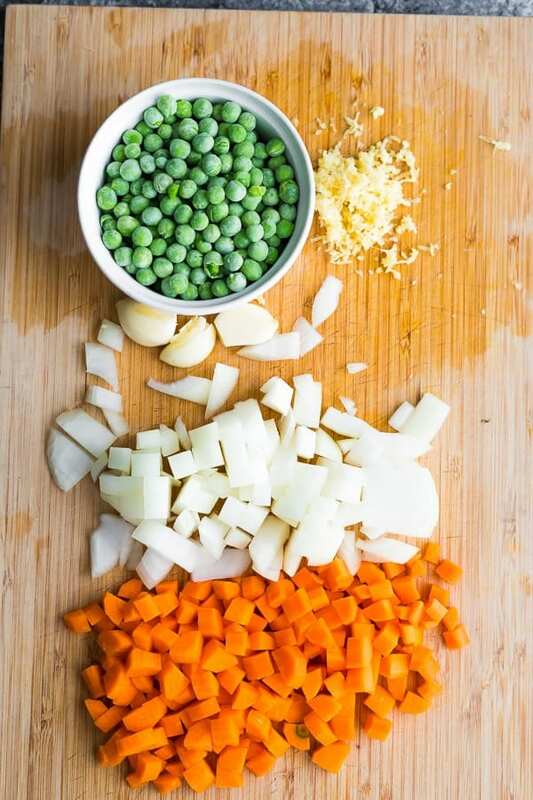 To these simple ingredients, I added some egg, onion, carrots, peas and (of course) riced cauliflower. That’s it! Really most of the work for this recipe comes from chopping. I recommend having all your ingredients chopped and ready for you because once you start cooking, everything goes quite quickly! Is cauliflower chicken fried rice healthy? 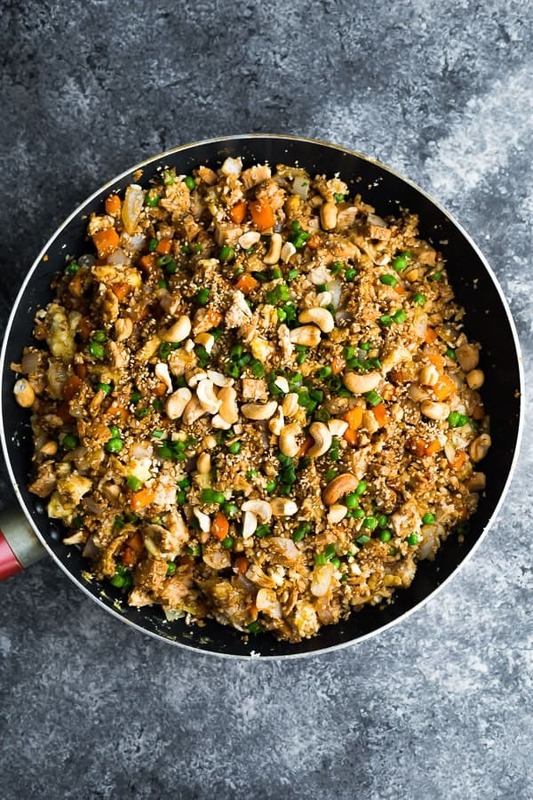 With only a fraction of the carbs and calories of regular fried rice, and packed full of veggies and healthy protein, I definitely consider this cauliflower chicken fried rice to be a healthier option. Can I use store-bought cauliflower rice? Yes! Definitely, although I’ve found the size of commercial cauliflower rice to vary a lot, so use your judgement in adjusting the cook time. Can I swap the soy sauce to make this paleo? Yes! Swap for coconut or liquid aminos. 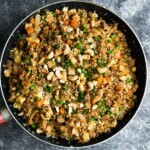 Try adding half to this cauliflower chicken fried rice and tasting to make sure it’s not too salty, since I tested with reduced sodium soy sauce. Is this cauliflower fried rice keto friendly? Yes! I’d suggest a few swaps to lower the carb count though: swap the carrots and peas for lower carb veggies like zucchini, broccoli or brussels sprouts. If you are avoiding soy, you can swap for liquid aminos. 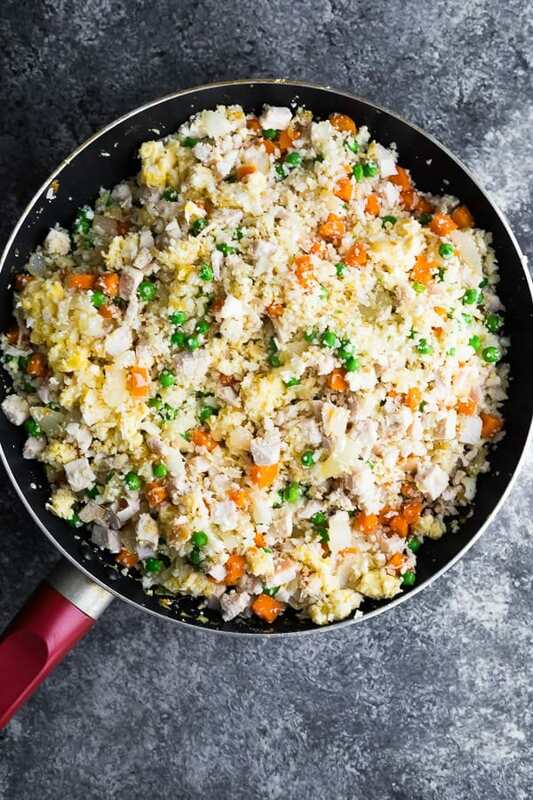 You could also increase the eggs to increase your fat and make this cauliflower fried rice keto. Does this cauliflower rice stir fry recipe work for meal prep? Yes! Store in the fridge for up to 4 days. Reheat till steaming hot! It may not smell amazing (cauliflower never really does), but it still tastes great. Can I freeze cauliflower fried rice? Unfortunately this cauliflower rice stir fry gets mushy if you freeze/thaw it since it absorbs the sauce. You can freeze uncooked cauliflower rice though! Read all about how to make cauliflower rice (including storage options). This simple cauliflower fried rice recipe makes a delicious low carb main course or side dish! With fresh ginger and sesame oil, this lighter fried rice option is full of flavor! In a large non-stick pan or a wok, heat 1 tablespoon of sesame oil over medium heat. Add the eggs to the pan, season with salt & pepper, and cook, stirring up to scramble the eggs, for 3-5 minutes or until eggs are cooked through. Transfer the eggs to a clean bowl. Add the second tablespoon of sesame oil to the pan. Add the onion and carrots, cooking for 5 or so minutes, until softened. Add the garlic & ginger to the pan and cook for 1 minute. Add the riced cauliflower, frozen peas and diced chicken to the pan and cook for another 5 or so minutes, until cauliflower rice is cooked through (but not mushy). Return the egg to the pan, then toss everything in soy sauce. Sprinkle with sesame seeds. green onion and cashews to garnish. Reheat until steaming hot in the microwave. Enjoy! 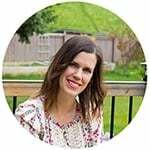 I’m new to your site and looking forward to understanding more about meal prep.